Stole Fowler from the Rockies. In a tragic twist of fate that shocks the entire baseball universe, Jose Altuve experiences a growth spurt at the age of 23 and grows a full foot over the course of the season. Lance Berkman disguises himself as a Venezuelan minor leaguer named Ylance Beracmando and slugs .893 before his costume falls off in mid-August. Matt Dominguez tests positive for PED’s, but claims his positive test was caused by the new breakfast waffle at Taco Bell. After brief deliberation, Bud Selig revokes the 50 game suspension and commends Dominguez for always living mas. Frustrated with his team’s lackluster play during the first half of September, Jeff Luhnow calls up himself, Kevin Goldstein, Mike Elias, Mike Fast, and Colin Wyers. Wyers gets on base at a 40% clip, but his base-clogging status soon relegates him to the bench. 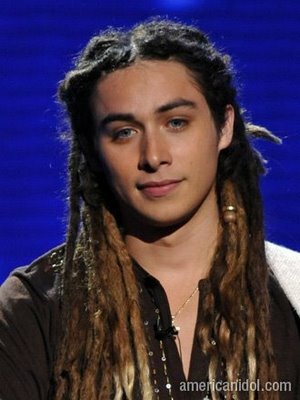 Jason Castro switches places with American Idol contestant Jason Castro. The Astros are instantly confronted by a lack of catching depth, but an abundance of horrible smelly dreadlocks.